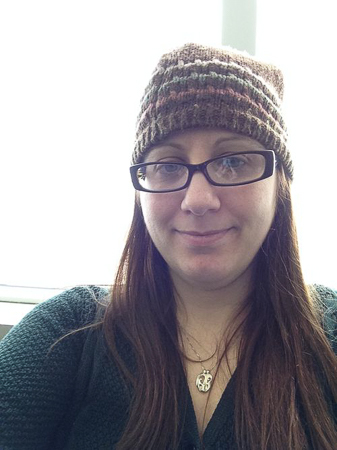 Here I am at the airport waiting to catch my flight to Florida to visit my best friend. This will be my first plane trip in 20 years. This will be the first time I have been anywhere without my kids. I am already missing them like crazy. Hopefully they won’t drive their dad too crazy while I am gone. I am happy that in todays world of technology I will be able to keep in contact with them while I am gone. 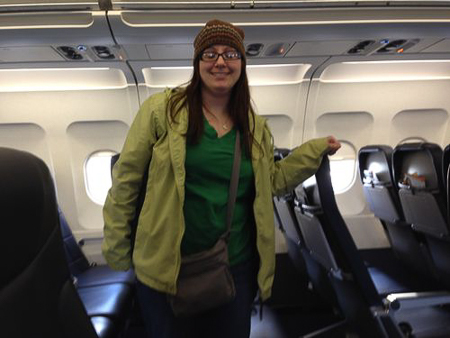 Another passenger was nice enough to snap a quick photo of me on the plane. Upon my arrival, I was treated to dinner at the Lazy Moon. 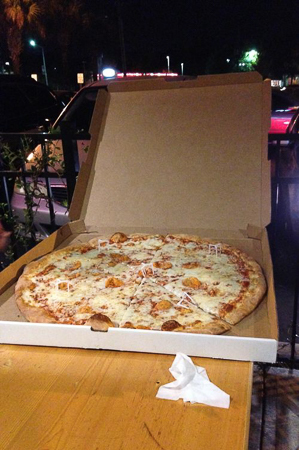 This is a picture of the 30″ pizza that they ordered. This pizza was so light and yummy. I really wish I had one of these pizza places at home. 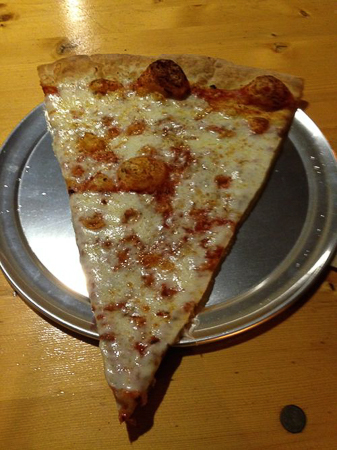 The slices were bigger than the plates. 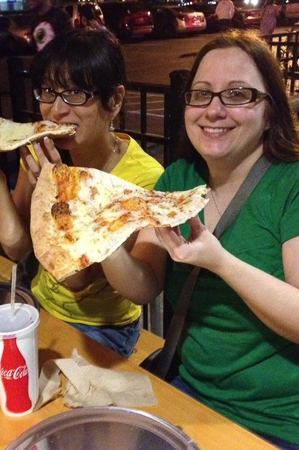 Here we are eating our slice.